Friday morning, we had a little visitor. Miss Emma (Sara's niece) came to play. She's about 5 months older than him so she was a bit ahead in normal life tasks - like using her spoon (it was like watching that scene in "Beauty and the Beast") and going to the restroom. Duke was so fascinated by watching her use the toilet and has now decided that he needs to use it as well. Emma totally inspired him to pee in the potty (or, at least, sit on the potty and pretend to pee) and, for that, I am forever grateful. 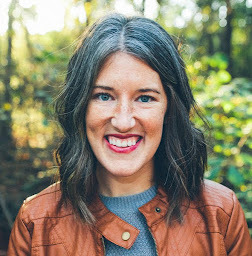 I'll send you a thank you note, gurl! They spent a good majority of the morning running back and forth in the living room while screaming at the top of their lungs. My ears will never be the same. But they settled down eventually to let Auntie Sara read to them. Colt went camping for a couple days this weekend with some friends, so I decided to stay at my parents' house. Karlie and I had some good sister time. I did Insanity for the first time ever. Karlie was thrilled because, typically, I eat junk food while watching her do these DVDs. You're welcome, Karlie, for entering into that ridiculous world with you. But, honestly, it was kind of fun. I mean, everyone likes working their muscles until they burn and completely give out, leaving you lifeless on the floor, right?? Saturday evening, Colt got home and we decided we should probably get Chinese take-out for dinner. Well, I decided that. Colt could've gone without, but I'm sure I said something like, "But I need it SO bad!!" On Sunday, we did all of our usual stuff. And then I captured a pretty terrible post-nap snuggle moment with Duke. You can hardly even see us, but I still like it. Okay, so the exciting news that you've ALL been waiting for. The Lockout album is done and ready for your ears!! Click here to listen and purchase! It turned out so well and there are some really hilarious moments on this album. In my personal opinion, you should most definitely listen to these: "I am Basketball," "LeBron's Stupid," "Nice 'n Slow," and "Win in Wichita." I can't even wait to see the show in Chicago in a couple of weeks. 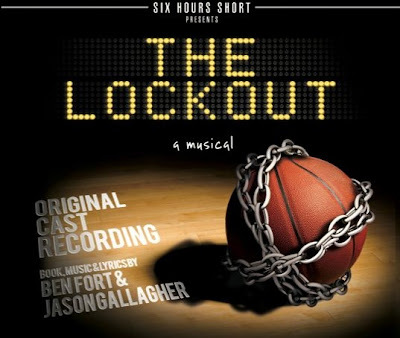 If you want to help Ben, Jason, the cast, and the rest of us out, spread the word about The Lockout album!